We hear the term “networking” all the time. It is a term that was probably invented within the last twenty years by someone who wanted another word for meeting people, making contacts, connecting, exchanging ideas, and interacting. Is this a buzz word or do we need to pay attention to this? In this era of tweeting and friending, some may assume that the new ways of communicating have now overcome any face-to-face real-time opportunities. Social media does hold an important place in business and can be a powerful tool for interacting, but research has proven again and again, that nothing can take the place of speaking firsthand and going eyeball-to-eyeball with friends, colleagues and competitors. As you plan your spring calendar, remember to join others in the gearing community April 10-12, 2014 at the AGMA/ABMA Annual Meeting. This experience will developed new business opportunities with other gear and bearing producers and suppliers through a variety of networking opportunities. You may feel it’s not worth the expense and elect to stay home. Think again and focus on what you have lost or missed out on. If you come home with just ONE small bit of information that may help you figure out a new area to investigate, you are declared a winner. 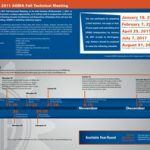 The AGMA/ABMA Annual Meeting has proved to be a tremendous benefit to everyone in the gearing and bearing industries. Whether you are a 2,000-person corporation or a two-person company, it has become the premier event for those in sales and marketing, finance, engineering and even purchasing and procurement. The sessions bring together experts that address the current business arena, but also bring the future trends and economic outlook into focus. This year’s presentations include William Strauss, Senior Economist and Economic Advisor, Federal Reserve Bank of Chicago, who will evaluate our current “post recession” economy and offer economic sector indicators; Jay Glick, Retired President and CEO, Lufkin Industries will explain the meaning and opportunities in unconventional oil and gas; and former Congressman, Mickey Edwards who will identify why we have allowed Washington, D.C. to become a battlefield of inefficiency. In addition to the individual presentations above, Dr. Nariman Behravesh, Chief Economist and Executive Vice President of IHS Global Insight, will moderate a panel of senior executives who will assess global megatrends and geopolitical forces in several key emerging manufacturing arenas. Detailed descriptions of the presentations follow on the next page. The Annual Meeting is a great networking event. It also can be a “connecting, learning and exchanging ideas” place. Let’s all gather in St. Petersburg, FL for opportunities to learn about new technologies, industry trends, market challenges, regulations and other issues that impact us, our business and our industry. Join your peers from AGMA and ABMA at the Vinoy Renaissance this April for the best networking event of the year. Beyond the networking events, the General Sessions at the 2014 AGMA/ABMA Annual Meeting feature speakers who will address current issues of importance for our industries. The speakers will provide expertise and inspiration for all attendees. The “Great Recession” of 2008 and 2009 ended over four years ago with significant impacts on the economy. The economy experienced outsized losses in housing, manufacturing and jobs. Yet, what would typically be a robust recovery is not occurring, nor expected. Unemployment remains high and inflation is low. Manufacturing, the sector that has been leading the recovery, appears to have run out of steam. Credit conditions, while significantly improved from what existed during the recession, remain restrained for many borrowers and will act as a headwind to growth. Bill will look at the performance of the overall macro economy with specific attention paid to key economic sectors and indicators. Bill Strauss is a senior economist and advisor at the Federal Reserve bank of Chicago. His chief responsibilities include analyzing the current performance of both the Midwest economy and the manufacturing sector for use in monetary policy. 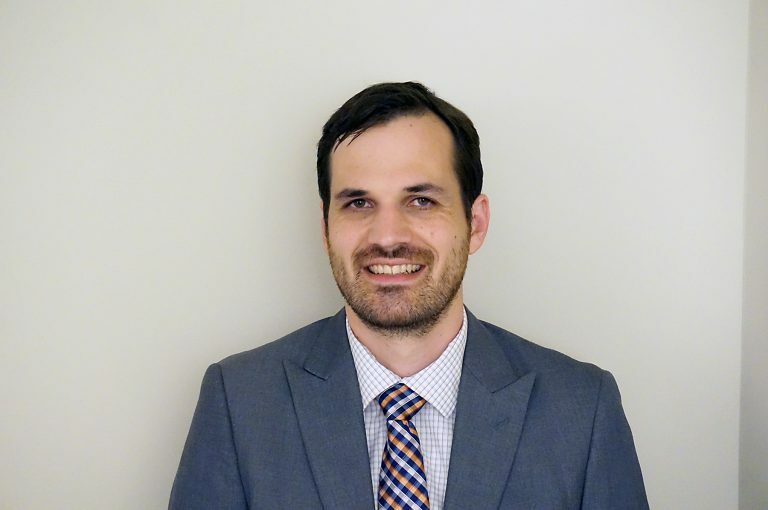 He produces the monthly Chicago Fed Midwest Manufacturing Index and organizes the Bank’s Economic Outlook Symposium and Automotive Outlook Symposium. This presentation will explain what is “unconventional” about unconventional oil and gas and discuss the economic, environmental, geopolitical opportunities and the risks that this resource class holds. After discussing the broader economic impact, the presentation will drill down to touch on implications for the gearing and bearing industries that may result from the global development of unconventional oil and gas deposits. Jay Glick brings 40 years of experience to this subject, serving as President & CEO of Lufkin Industries from 2008 until his retirement in 2013. Prior to his position as President & CEO, he held a variety of management positions at Lufkin Industries, Cameron Iron Works, Inc. and Cooper Industries, Inc. Sergeant Dakota L. Meyer is a U.S. Marine Corps veteran and the recipient of the Medal of Honor, the military’s highest honor. He is the first living Marine to have received the medal since 1973 and is also one of the youngest. Dakota Meyer will motivate you to take full advantage of the opportunities life gives you and then challenge yourself to be held accountable to your highest potential. His message is full of humor and imagery from his days in the Marine Corps near the Ganjigal Valley. He believes that anyone can achieve greatness if you rely on humility, sincerity and courage. The American democracy of today is a far cry from the system that our Founders created. It is a system that functions as a battleground for opposing teams rather than a collective enterprise working together to resolve the issues facing our nation. We have created a political system where every incentive is not to cooperate, not to compromise, and not to talk to people who have different ideas than our own. Congressman Edwards identifies the problems that exist in our system and offers attainable solutions. He will provide ways in which we the people can demand change in order to make change happen. Edwards served as a member of Congress for 16 years, during which he was a senior member of the House Republican leadership. After leaving Congress, he taught government and public policy at Harvard’s Kennedy School of Government for 11 years before becoming a Professor at Princeton University’s Woodrow Wilson School of Public and International Affairs and Vice President of the Aspen Institute in Washington, DC. This session will lead the audience through an assessment of several dimensions of major geographies, evaluating them for trends and future direction based on what’s happening in demographics, social indicators, political climate and economies. What are the implications for future business overall and for durable goods in India, China, Europe, South America, Oceania and Asia? How will the three- to five-year trends impact these countries viability as a global player in the manufacturing arena? The presentation will be led by Nariman Behravesh, who will provide background information for the discussion and then moderate a panel of senior executives from multi-national companies. 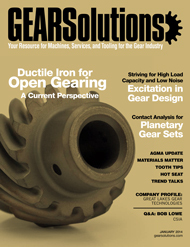 The 2014 Annual Meeting is a must-attend event for managers in the gear and bearing industries. For more information, visit www.agma.org or www.americanbearings.org. At AGMA, we often hear from members who are looking for a convenient way to train their employees. While AGMA offers a number of in person seminars, many companies cannot spare employees for a few days or a week to attend these courses. With this in mind, the AGMA Webinar Series was developed. Our goal with the webinar series is to reach as many people as possible and in a way that is easy to fit into any schedule or budget. This series provides a rare opportunity to learn from and interact with the experts in the gear industry, from the convenience of their office. It is a great way to train your whole team with no travel expense or time away from the company. With just a computer with Internet access you are able to watch the presentation, submit questions and participate in audience polls – it’s the next best thing to being there. By inviting a team of personnel, the webinars provide a great knowledge sharing opportunity as participants discuss the program after the webinar has concluded. 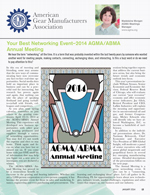 AGMA has three webinars scheduled for the beginning of 2014, and will be adding more throughout the year. On February 19, AGMA will kick off its webinar series with “Troubleshooting of Gearboxes,” presented by Rick Schrama, Principal Investigator of Tribological Services. 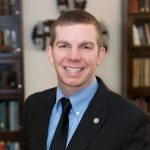 On March 19, the webinar will discuss “Contact Stresses,” and be led by Steven R. Schmid, Professor of Mechanical Engineering at the University of Notre Dame. • Strength of gears, including effects of manufacturing process on gear quality index and associated costs; stress cycle factors and other modifications; effect of lubrication regime. • An introduction to bending of gear teeth, the factors that affect stress and strength, and the design approaches to reduce bending stresses. • The nature of fatigue wear, methods to eliminate or reduce fatigue wear (pitting resistance). • Application of lubrication theory to gears. • The AGMA equations and their relationship to Hertzian contact. Following this webinar, attendees will be able to appreciate the nature of nonconformal contacts, their stresses and benefits of lubrication. Also participants will be able to calculate the contact stresses and deformations associated with gear contacts of all kinds, and also understand the basic scientific background of the AGMA contact stress equations. This is a webinar for design engineers. The presentation will be fairly technical, but will be easily understood by anyone with a technical bachelor’s degree. On April 17, AGMA’s webinar will focus on “Common Gear Material Inspection Methods,” taught by Sarah Tedesco, President of Ashford Consulting. 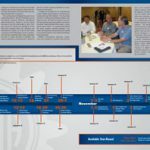 Presented in this webinar are several commonly used gear inspection methods to ensure the quality of a gear from the raw material through to the final manufactured form. Discussed are methods of assuring the quality of: raw material (cast or billet), heat treatment (whether forged, quench and tempered, carburized induction hardened or nitrided) and final net shape formation (welding, machining and fine finishing). Students will be able to assess the accuracy of the current methods used or possibly find newer, less expensive methods for assessing the quality of their gears. Any quality engineer, manufacturing engineer, and customer liaison (sales or engineering) would benefit from knowing and understanding the kinds of analysis involved in assuring the quality of their product. 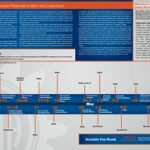 Visit www.agma.org for a complete list of upcoming and archived webinars, as programs will be added throughout the year.